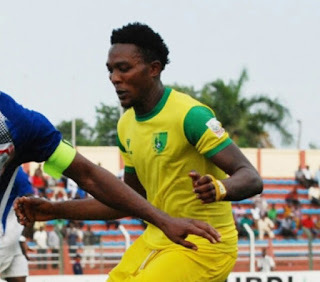 After Plateau United’s 5-1 destruction of a woeful Gombe United, on Sunday, it now seems like an ideal time to take a look back at some of the biggest wins since the introduction of the Nigeria Professional Football League. Sunday’s match day 24 clash confirmed Plateau United’s dominance this season, just as it showcased Gombe United’s mediocre season. Goals from Kabiru Umar, Elisha Golbe, Peter Eneji’s and Emeka Umeh’s effort completed the club’s biggest win this term. It is no surprise that the Jos side have the best attack in the league. The match day 21 Oriental Derby produced Enugu Rangers’ worst result since the start of their rivalry with the Umuahia side. Sunday Adetunji’s brilliance the curtain raiser and Anthony Okemiri made it two for the home side. Adetunji got his brace, while youngster Samson Obi scored his first goal for the Umuahia side. 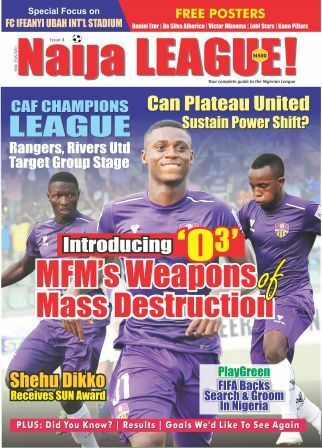 For the second time this term, MFM conceded four goals when they played at Nasarawa United in a match day 17 clash. The humiliation started in the opening minutes of the match as Adamu Hassan scored in two minutes. Yinka Onaolapo, Anthony Oussou and Abdulrahman Bashir completed the annihilation of the visitors. A hat-trick by Alhassan Ibrahim and a goal by Friday Ubong ensured Shooting Stars were outclassed by home side, Akwa United. However, the Ibadan side fought back with goals from Moses James and Taiwo Shittu. After scoring three goals in their opening fixture this term, MFM went to FC Ifeanyi Ubah to concede four goals on match day two. Soumaila Yaya, King Osanga, Jimoh Oni and Ifeanyi Onuigbo scored on match day. Rangers were crowned champions for the first time in 32 years on day they completed battered El-Kanemi Warriors 4-0. It was the last day of the season and the feat was achieved in front of a capacity crowd. A hat-trick from Chisom Egbuchulam and goal from Osas Okoro completed the annihilation of the visitors. This top of the table clash turned out to be a one-sided affair as Rivers surrendered without any challenge. Goals from Tope Olusesi, Godwin Aguda, Christian Madu and Obinna Nwobodo helped 10 men Imama Amapakabo's side rout their visitors in a match day 34 clash. After conceding a whooping six goals in the previous fixture, Shooting Stars were ready for revenge and got four goals. To the fans, Pillars spelt the team’s base, Ibadan, while it was their turn to spell Kano. Goals from Ifegwu Ojukwu, Ibrahim Ajani and Sunday Adetunji’s brace completed the annihilation of Pillars in a match day 33 fixture. For the second time last term, Kano Pillars went goal crazy with a 5-0 pounding of Abia Warriors. Rabiu Ali grabbed a brace, while Razaq Adegbite, Bala Za­kka and Nafiu Kabuga also hit target on match day. It was the worst day in the history of the famous Ibadan side as the conceded six goals in a match day 13 fixture. Emmanuel Edmund got a hat-trick after Ifeanyi Matthew’s opener. Adamu Mohammed and Nafiu Ibrahim score one goal each to complete the humiliation of the Ibadan side. Emem Eduok chose this day to become the first man to score double hat-trick in one match. Nembe were misery on match day as Eduok went goal crazy to make history. Striker Christian Pyagbara fired four goals past Sunshine Stars to give his team a 4-1 victory. The feat made Pyagbara the second player after the legendary Victor Ezeji to score four goals in one match.